Born and raised all over Southern California, now living in North Carolina. What made this Cali girl trade 72 degrees and sunny for the land of four seasons? Found myself smitten by a guy who I’ve called my husband since October of 2009. I dont for a second think I have this faith thing figured out. Jesus loves me way more than I could ever understand to which I am thankful. I hang out with high school students for a living. I dabble in photography time to time. 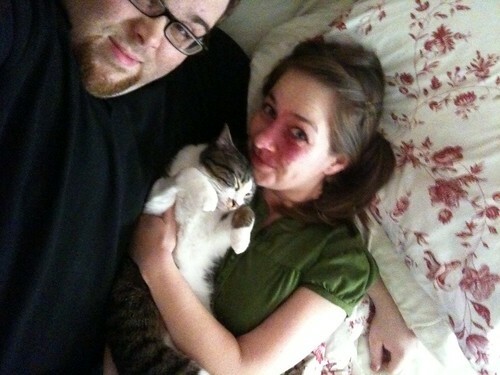 My husband and I live with a cat named Oliver whom we do not consider our son. There may be a fair size hippo collection among my belongings. I would not want to live in a world without tea. The title of my blog comes from one of my all time favorite songs, written by the amazing songwriter, Sandra McCracken.